Canadian man cave, office edition – progress! There’s been a bit of headway with the Canadian man cave office I’m designing for my broseph and I thought today I’d share some of the progress we’ve made. 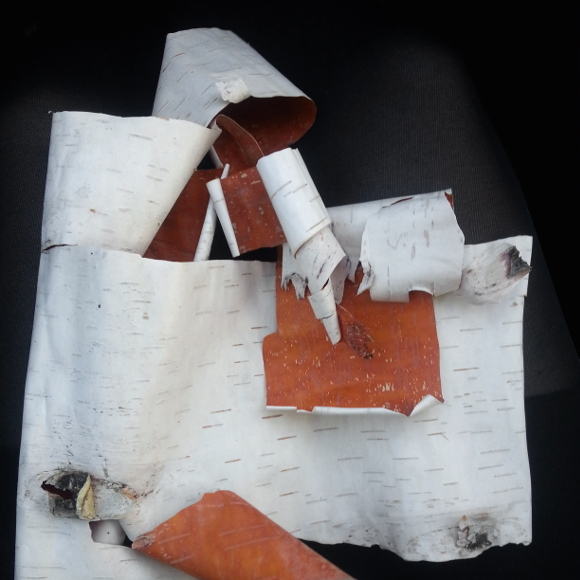 For a little reminder, you can see the before pictures here! 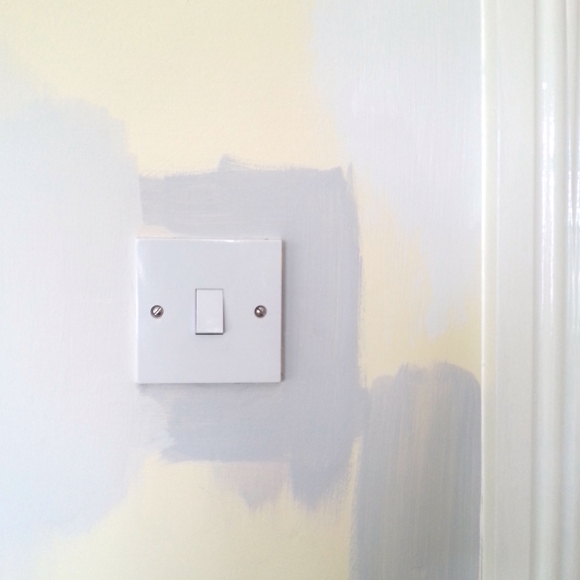 We first had to decide on a colour for the walls. I’m a huge fan of grey, but too dark of a grey would have been harsh in here. I had some Crown Paint test paint pots from when I repainted our living room years ago, so I thought they would be a good starting point. As it turns out, Crown Paint’s swan’s a swimming was a great fit [you can see it in the above picture: far left swatch as well as top right swatch]. My phone picture doesn’t do it justice, but it’s a warm, frothy latte-grey hue. Accompanied by some serious tunage, broseph and I painted his office in one afternoon and moved his furniture to better suit the space. 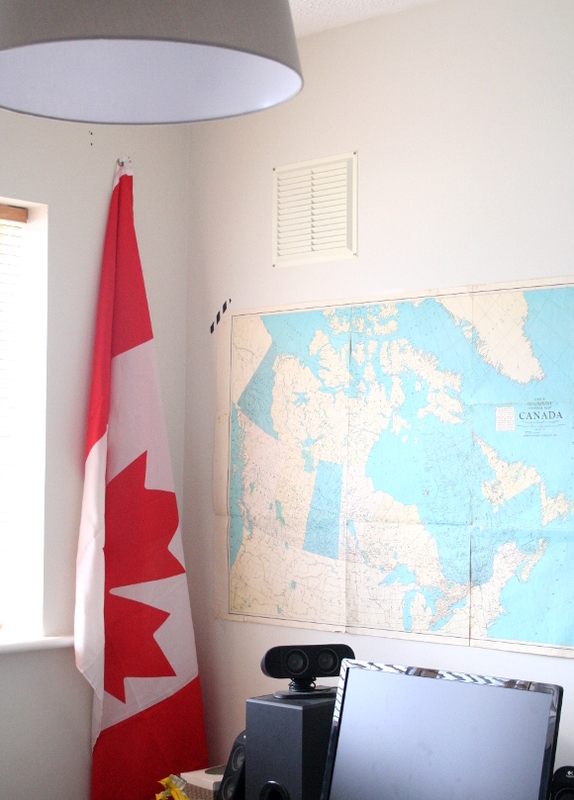 I hung up an old map of Canada we had as well as my brother’s flag. As a temporary lighting solution, I hung up an IKEA Jara giant shade, but I’m not in love with it. At the moment I’m thinking B&Q’s angular Colours Tuck or Colours Keynes ceiling light for a serious statement. I’m unsure if we’ll hang curtains or not [there are wooden blinds in place already], but at the very least there’s a skylight that needs a blind [possibly a blackout blind] that we’ll be ordering from roofblinds.co.uk. I’d like to get more artwork and personal items up on the walls too. We have yet to do anything with the largest wall in the room [which is to the right of the above picture], and I’ve been brainstorming some better ideas for wall storage, so the shelves will be changing. But for a better and sleeker not only look, but layout. There are of course loads of DIYs and upcycling in the room that I’ve been documenting as we go, as creatively and cheaply as we can. I’m hoping to have the office ready for my broseph for the new year because everyone loves a fresh start after the holidays and he deserves a great one. Looking great so far – love the shelf styling!! 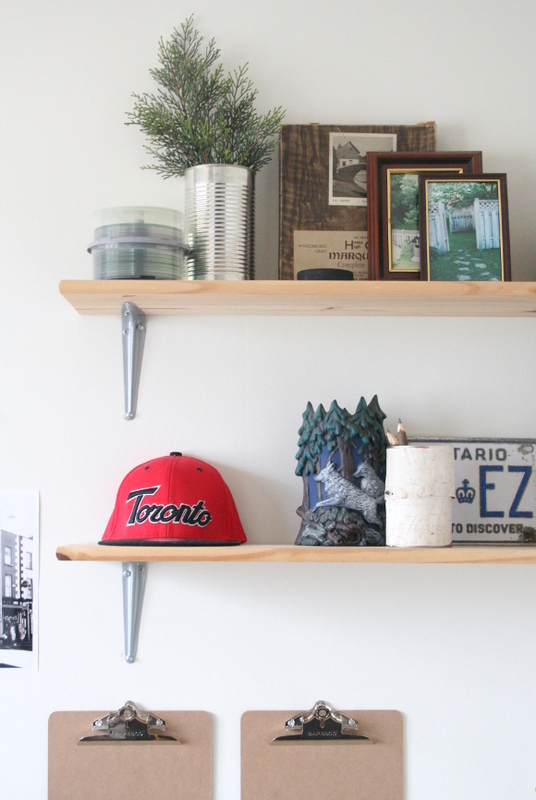 I wish I could style shelves – I really am useless at it. You are so talented!